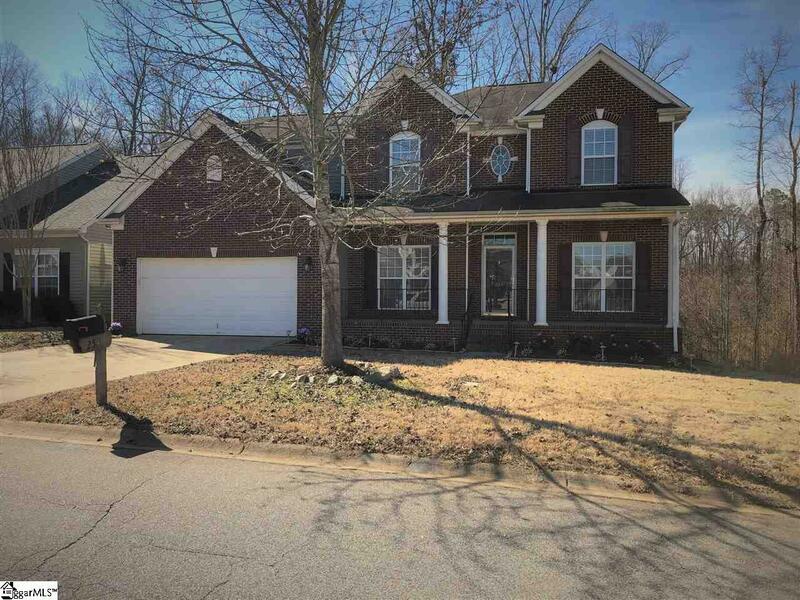 Beautiful 5 Bedroom, 3.5 Bath Home with Open Floor plan in Roger&apos;s Mill Subdivision.Two story foyer that opens to formal Dining Room and Living Room. Master on main level with trey ceiling, Large Great Room for entertaining that has been prewired for Surround Sound w/Vaulted ceilings , Gas Fireplace and lots of windows for natural light. Kitchen with custom Cherry Cabinets, Hardwoods, and Stainless Steel Appliances. Breakfast Room that opens to a Screened Porch and Deck that overlooks a private wooded area. Upstairs you will find 4 wonderful Bedrooms and a Loft area. Hardwoods have just been refinished and all Bedrooms have been freshly painted. Easy access to Interstate and minutes away from Greenville and Spartanburg. Make your Appt. to see this Lovely Home today! If Square Footage is Important, Buyer or Buyers Agent to Verify!